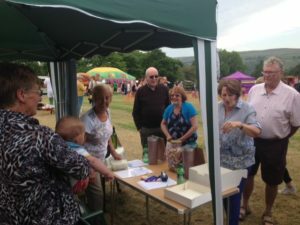 On 9th June Edenfield was blessed with great weather and a bumper turn out at the village fete. 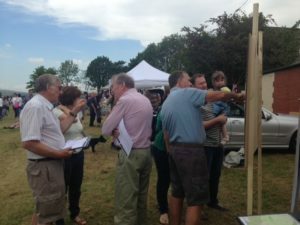 ECNF was there and our stand proved popular with residents who were keen to hear our plans for taking control of the local plan. We were grateful for all the new members as well as donations to the forum that we received on the day. 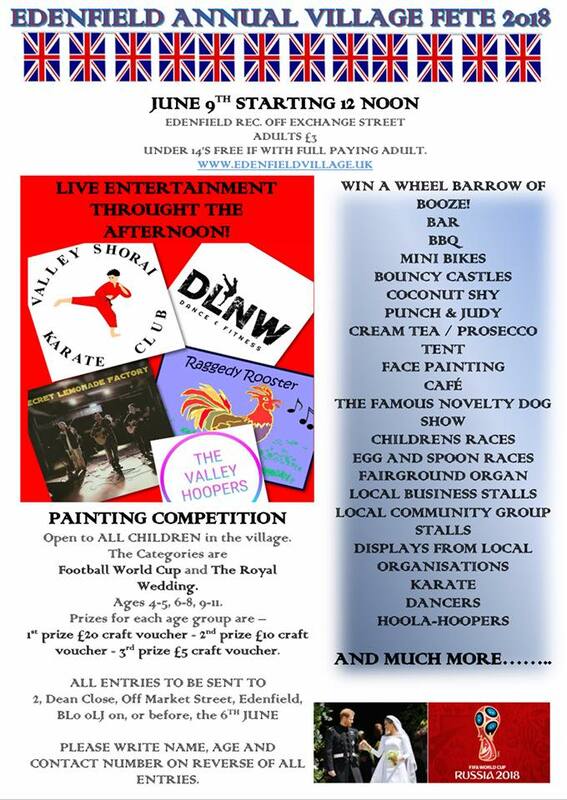 We’re pleased to say that we have a stall at Edenfield Fete on Saturday 9th June. 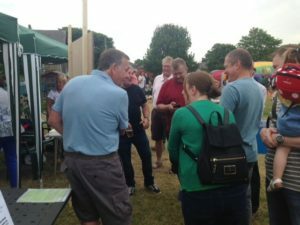 If any local residents want to meet us, find out who we are or offer your support, please come and say “Hello”. This is an interesting article from today’s Daily Express. 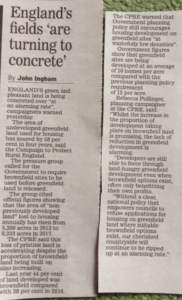 According to the article the amount of undeveloped greenfield land used for housing has soared by 58% in the last four years. 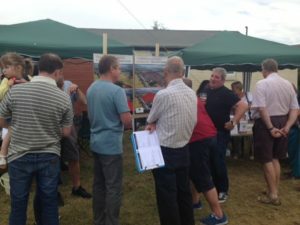 The Council for the Protection for Rural England is calling for brownfield land to be used before any greenfield developments are approved. Meetings of the Management Committee meeting held on 17th April 2018. Members of the Forum or Edenfield residents who are interested to hear about us are welcome to come along to this member meeting in the community centre on Exchange Street. The meeting starts at 19:45 on Monday 30th April 2018. 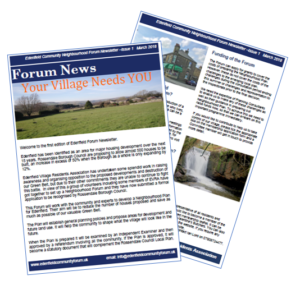 Our first newsletter has been printed so if you’re a business or resident in Edenfield, expect it to drop through your letterbox in the next couple of days. To truly represent the Edenfield community, we need more members. As well as the newsletter we’re also posting membership application forms. Members of the forum can attend meetings and will receive regular information and updates. Members of the forum can also be elected to join the management committee. Paper membership forms can be left at Strachan’s Chemist or Valentine’s Butchers. Alternatively you may find it more convenient to complete your details online. Join Us.